In many cases, frozen fish actually has a higher nutritional value than fresh fish – plus many benefits partly because of IQF modern freezing techniques. The fish & seafood are frozen at peak levels, sealing in its flavor, nutrition and texture. 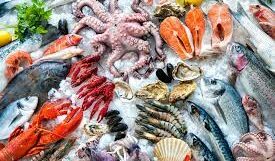 Today, fresh fish is frozen immediately after being caught thus preserving freshness since the bacteriological degradation process does not start. Several scientific studies have concluded that frozen fish products offer excellent quality, often much better than fresh fish. 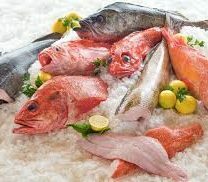 When fish is frozen while it is completely fresh, it will maintain its nutritional peak, locking in the vitamins and minerals whereas the quality of fresh fish will gradually decline over its shelf-life. The bacteriological degradation process that influences the structure and texture of the meat is stopped at freezing. Tainted and malodorous fish products are thereby avoided and the high quality is retained at its optimum. Frozen fish thus offers better value to customers.